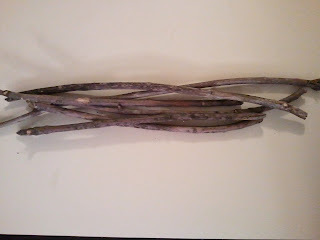 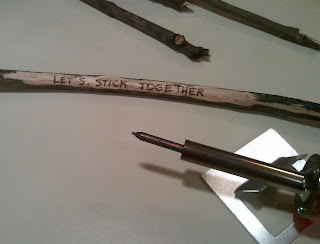 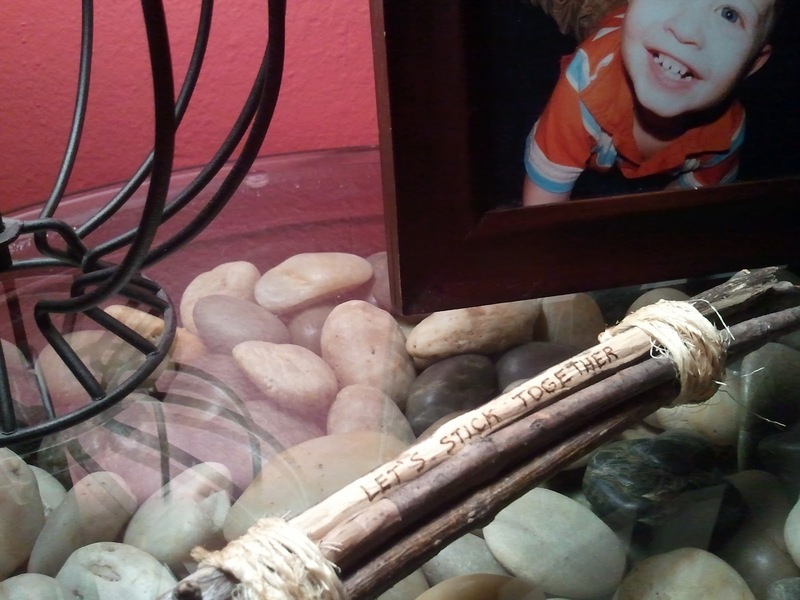 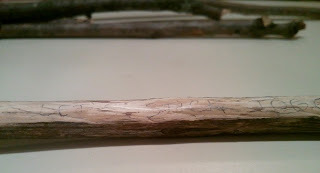 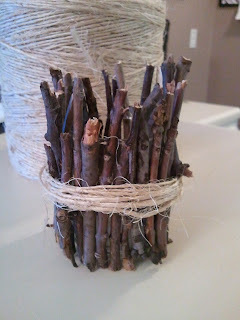 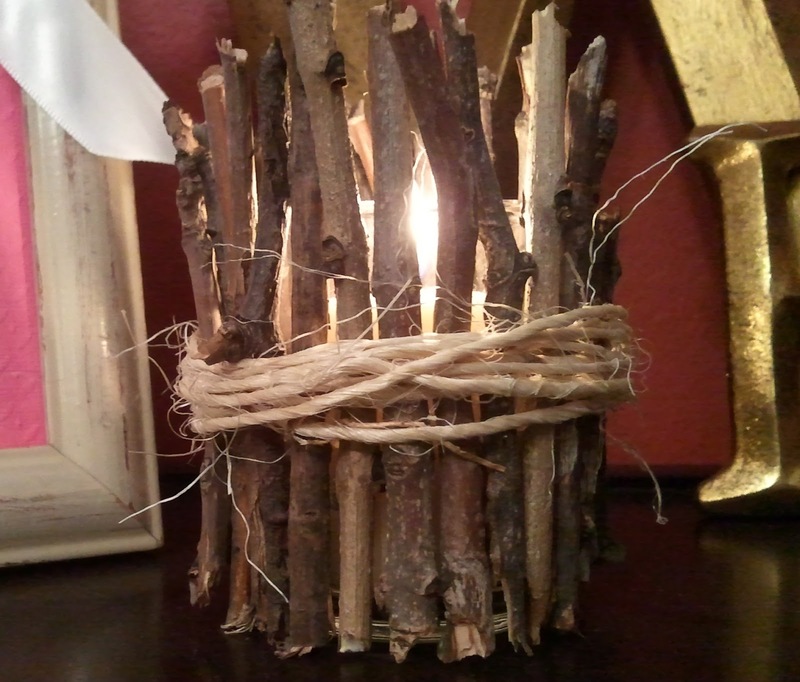 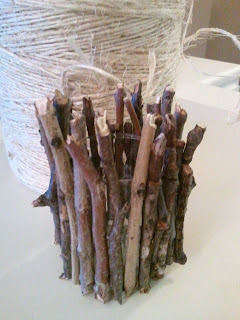 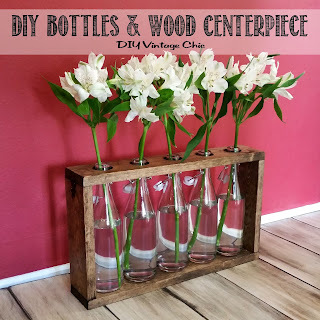 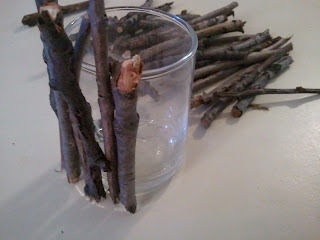 I decided to get a little crafty with some twigs from the yard and some leftover twine. 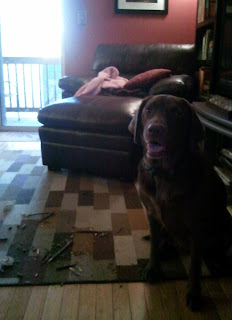 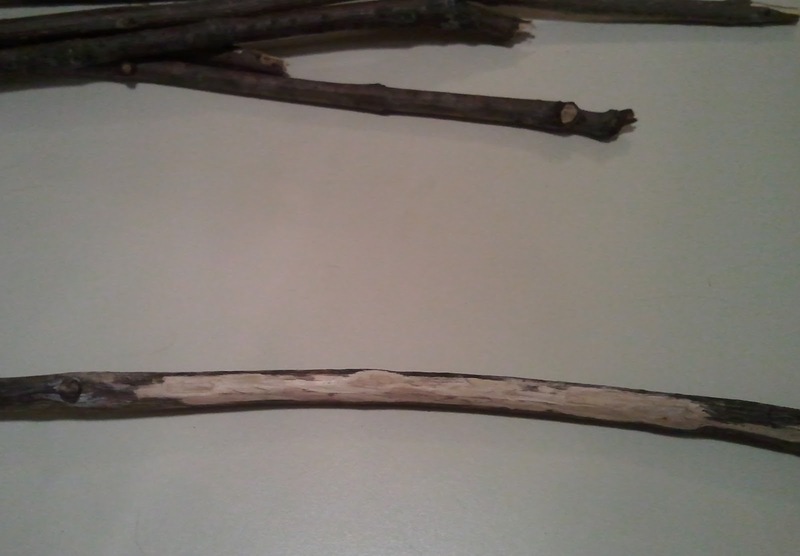 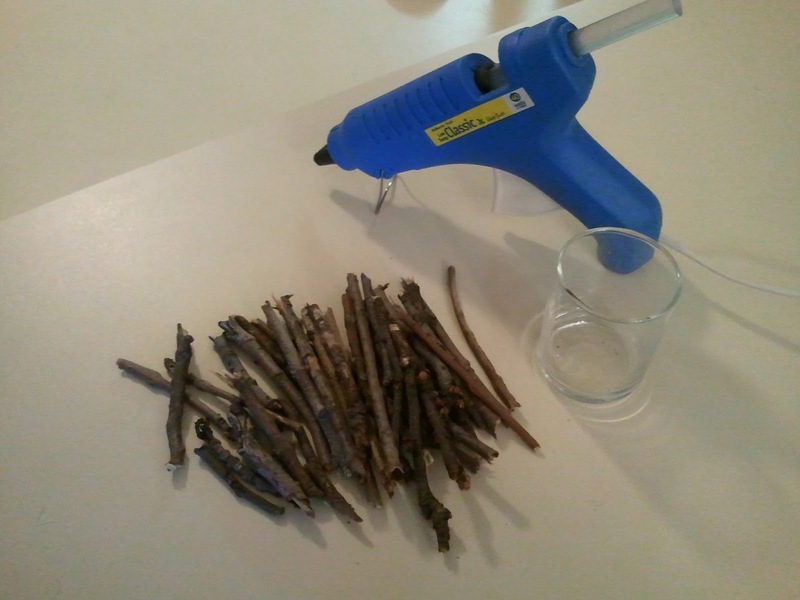 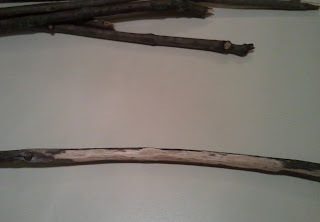 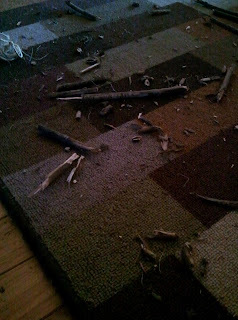 I grabbed some twigs and broke them off in even pieces. 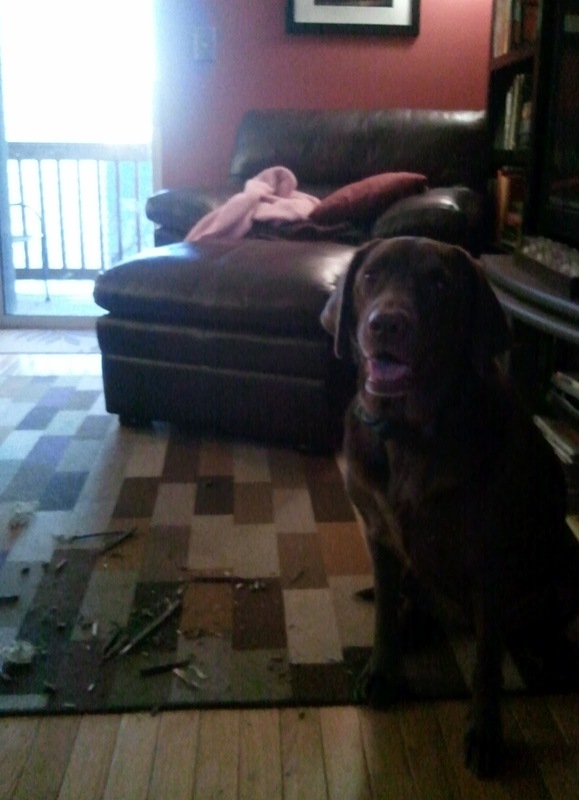 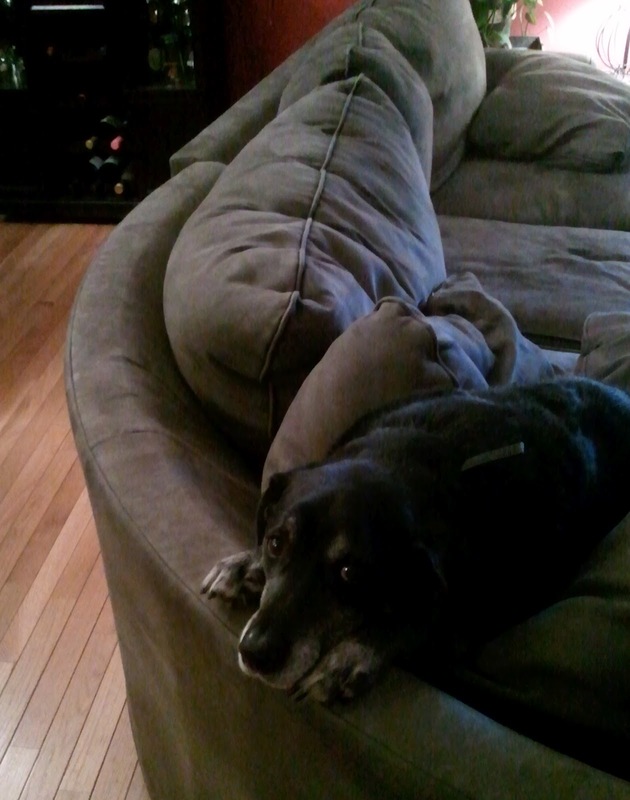 But he looks pretty guilty.